Social entrepreneurship is the concept of building businesses that develop solutions to social, cultural, and/or environmental issues. In other words, to use the power of entrepreneurship to create and grow a company that aims to make a true difference in the world. Endeavor is a worldwide organization that selects, mentors and accelerates high-impact entrepreneurs to catalyze long-term economic growth. Endeavor is leading the high-impact entrepreneurship movement around the world. 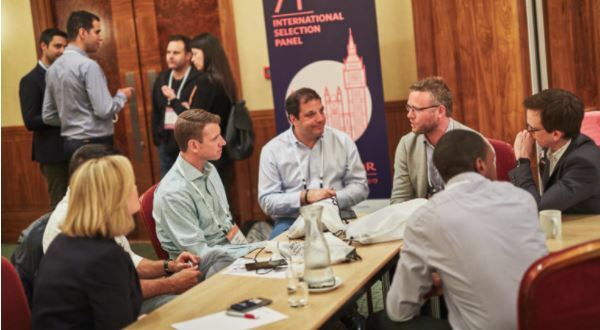 Endeavor works with high-impact entrepreneurs working to scale their businesses and create significant wealth and job opportunities in nearly every industry around the world. In fact, Endeavor currently supports over 1,500 entrepreneurs in 30 markets around the world. Endeavor only selects 2% of entrepreneurs it identifies as potential candidates. HANDLE was chosen as an Endeavor entrepreneur in 2017 because it addresses the massive issue of waste in the medical supplies and equipment sector and is willing to give back to the Louisville community in the form of time, mentorship and other resources. There could not be better alignment between HANDLE and Endeavor from a culture and mission perspective. It is estimated that $16 billion worth of supplies and equipment are wasted or underutilized every year. HANDLE provides its users with an asset recovery and alternative sourcing platform to buy and sell high-quality excess medical inventory, supplies and equipment at competitive rates via the desktop and mobile applications. As being selected as an Endeavor Entrepreneur, HANDLE now has access to customized services and a global network of business mentors to help further the mission to not only save our clients time and money, but to make healthcare more affordable and sustainable for all.